When I first got the email in my inbox, I thought that it had to be a joke or some kind of international wire transfer fraud. But I was intrigued by the possibility. It's not every day that you get a request to speak and perform on the other side of the world! That first simple email turned into 10 days of my life that I'll never forget. Margaret had asked me to come and present at the 7th annual Miri Youth Rally. I was comforted when I recognized the names of other speakers in the United States that had presented. After learning about the process of getting a passport and traveling internationally, we committed to traveling to the other side of the world... to Malaysia. The Roman Catholic Diocese of Miri, Sarawak, Malaysia is a mission territory. 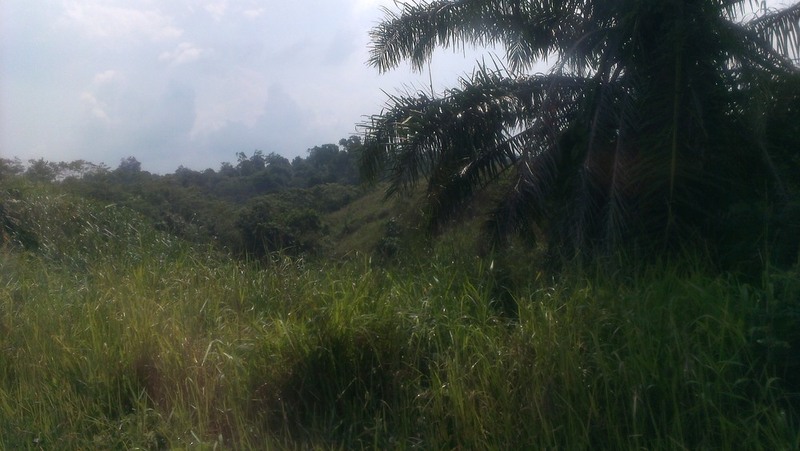 Aside from Miri - a seaport of about 300,000 - much of the diocese is dense jungle. There are less than 20 priests and even fewer Catholic parishes. Some parts of the diocese take two days of river travel to get to. One of the priests I talked to had 40 satellite locations he celebrated Mass, another had 80. Matt, Sam, and I, however were far removed from the remote regions, venturing only out for one excursion to a National Park. Most of our time was spent at the Imperieal Hotel. It was a beautiful hotel with a view of the South China Sea and two Malls attached to it. This was also where the youth rally would be held, but that would be after a few days of trying to overcome jetlag. Our travel day started early with Morning Mass. We had 5 flights and about 30 hours of travel. The longest flight from Chicago to Hong Kong was 15 hours... in one plane. We laid over the night at Changi airport in Singapore. This was a great airport with several hotels. We got 3 "economy rooms" and after 3 flights and many hours in terminals and turbulence, we welcomed a bed and a shower. The teens take us to the South China Sea. The next morning we had the last two legs of our journey and arrived in the afternoon at Miri. Since we were able to get a few hours of rest, our bodies were starting to acclimate to the time zone. We first had dinner and realized that we were not in the West anymore! The food had to be one of the most enjoyable and surprising parts of our stay in Asia. It all seemed very exotic... and tasty! Things that we thought would only be served for dinner were served for breakfast. Our hosts showed us many different types of resturaunts and we tried beef, lamb, deer, chicken, duck, fish, fish organs, fish balls, fish scales,fish head, shrimp, prawn, octopus, squid & jellyfish. Even the Western food there had a different taste than what we have in the States. I was most nervous about traveling abroad to countries where I didn't know the language or the culture. I was plesantly surprised that many people were quite fluent in English. The biggest challenge we had in the first two days there was converting the voltage for our laptops & phones (which were not able to connect to cell service out of the country) as well as converting our money to Ringit. 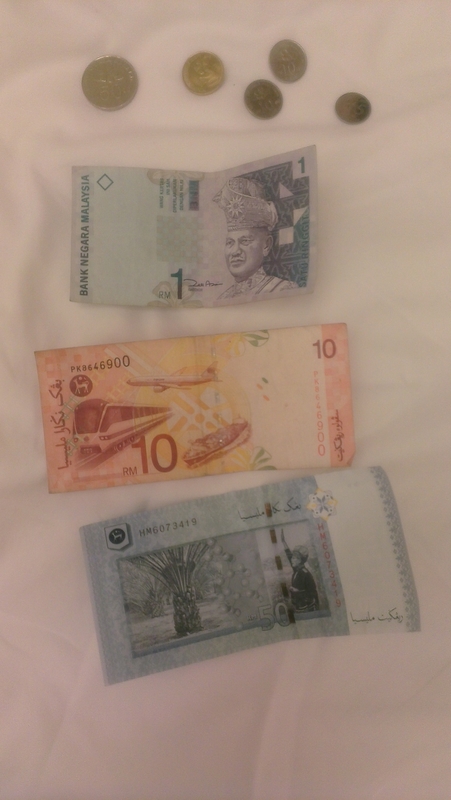 Apparently, the local money changers only like to take large bills that are superbly unmarked. It took us four different tries to get someone to accept a few of our bills. Even then they wouldn't take all of them because some of them had marks or stamps on them. The first morning we met for lunch and travelled to the beach. Coming from St. Louis, MO I have developed a love for beaches as we never had them growing up. I was shocked to see that nobody was at the beach! Miri is located on the North coast of East Malaysia, boardering the South China Sea. The water was very warm and although the high tempurature year round is the mid 80s, apparently Malaysians don't spend time at beaches in the middle of the afternoon. They don't need to lay out to get a tan like I do! The next day we drove to a National Park that had some fabulous caves. We had to cross a river by a ferry boat and kept a keen eye out for crocodiles. They had a great boardwalk that led up to the caves. I was intrigued by all of the different species of bugs, birds, trees, & flowers we saw on the hike up. I saw some elephant ears growing wild that my Mother-in-law plants in her flower garden! We also traveled to a few Buddhist temples and a local crocodile farm. This was an interesting place. It was a cross between a petting zoo and a rickety old bridge. The cages were something between chain link and chicken wire. The whole day there was a certain element of adventure and danger that is missing in America's zoos. You could literally reach out and touch a crocodile if you wanted to, although there were signs everywhere advising against this and they made it clear when you went in that they were responsible for NOTHING that happened to you while inside. They tossed chickens to the crocodiles in a feeding show. I later found out that the croc farm basically started as a way to sell crocodile meat and leather, and that they later opened the tourist part of it to make some extra money on the side. Our time in Malaysia coincided with the final week of Ramadan, Islam's holiest month. Islam is the official religion of Malaysia and I had never really been exposed to this faith. On almost every food there was a "halal" stamp saying that the food was acceptable for a Muslim to eat. The hotel was decorated for the end of Ramadan and everywhere we walked there were people dressed in the traditional Muslim attire. I was nervous about being a Christian speaker in Malaysia after many of the stories I had read online about the conflict between the Christians and Muslims. East Malaysia is different from the main penninsula in that the East is 40% Christinan and the different faiths seem to coexist peacefully together. Malaysia is a multi-cultural country. There are the indegenous people on the island, the Malays. There are also the Chinese who first came to the island in the 1500s as merchant traders. Lastly, in the last 100 years there has been an increasing Western influence with the discovery of oil. Malaysia was a colony of the British Empire until the 1960s when it gained its independence. Miri had many unique sights and smells and is very much a developing country with a solid infrastructure. Things moved along in an orderly fashion and there was lots of new construction. We played a concert to end the youth rally. After a few days of sightseeing, we shifted our focus to the youth rally. I was given three sessions and was more than a little nervous with my presentations. Would the teens understand me? Would I be able to connect to them? Would any of my jokes or analogies or stories make sense? I decided that I would use a lot of slides and pictures and stay pretty close to my notes. As soon as I took the stage and had 1,300 teens cheering and chanting "USA, USA, USA... MJM, MJM, MJM..." I knew that I would be good to go. I felt like I really connected and was able to share my faith experience with them. After three days, the youth rally ended with a concert. We had flown over with just a few essential pieces of gear and they had borrwed and rented the rest. As we walked into the hall to setup, I could tell that it was a recipe for spiritual attack. I pulled Matt and Sam aside and said that we should say a quick prayer. It was a good thing, too, because the next two hours (right up until the doors opened) were very stressful. We had issues with cables, instruments, and gear that had (apparently) gotten broken during transit. We had to adapt and overcome. We paused in the green room with a sense of nervous excitement... would the new environment and new gear derail the concert? Playing an borrowed instrument is like driving a car that doesn't belong to you. Only we were performing to a full house of screaming teens, so it was more like racing a car I've never driven! The concert was one of the most energetic and passionate of my life. It was ear piercingly loud... The teens knew the songs and were singing along and cheering for every song. After the show, we signed autographs and took pictures for two hours straight. They had setup a queue for people to come to us because increasingly during the youth conference we were unable to walk in the hallway as a teen would want to take a picture. And then five more teens would come up to do the same. And the next thing you know we would be surrounded by teens wanting pictures and autographs. I told Michelle later during our evening phone calls that I knew what Michael Jackson must have felt like. It was one of the most surreal experiences of my life! The next day we had another concert, this one open to the public. They were selling tickets to offset the cost of the travels for us to get there. We knew it would be an older crowd and fewer people, but it proved to be just as energetic! This time we had a much better sound check and were much more relaxed performing. Our final day in Miri was marked with trying to rest up and finish up some last minute shopping for souvineers. We went to the airport and 30 of the teens showed up there to wait with us and see us off. The view from the back of the ballroom. My experience in Miri was amazing. It really confirmed much of what I've come to realize in life, with great risk comes great reward. There was a lot of anxiety & sacrifice that went into the trip, but it was truly 10 days that I will never forget! God will not be outdone in generosity.